Are 80 percent or 0.1 percent of the 9th Circuit Court’s decisions overturned? One measure of an appeals court’s record is the rate at which its decisions are reversed by the Supreme Court. After the U.S. Court of Appeals for the 9th Circuit ruled against his original executive order on immigration, President Trump has criticized the court as a rogue one with an excessively high 80 percent reversal rate. During a recent House committee hearing, ranking Democrat John Conyers Jr. (Mich.) said “less than one-tenth of 1 percent” of the circuit court’s decisions are overturned by the Supreme Court. So which is it: 80 percent or one-tenth of 1 percent? We checked out the facts and found it’s a denominator game. Each court’s reversal rate changes every year, so it’s easy to cherry-pick data from different years to support your case. And looking at just the raw numbers is not that helpful. For example, in the 2014-2015 term, four courts had 100 percent of their cases reversed, but the raw numbers were small (one case for the 2nd Circuit, three for the 3rd Circuit, three for the 7th Circuit and five for the 11th Circuit). The court with the second-highest reversal rate was the 8th Circuit, with seven of eight cases reversed. The 9th Circuit had six of 10 cases reversed. Most cases reviewed by the Supreme Court get reversed, so the number or rate of reversals is not necessarily reflective of the court’s performance. While the Supreme Court weighs different factors in granting review of an appellate court’s decision, “the most important influence on whether Supreme Court review is granted is the existence of a conflict among different circuits over how to interpret a section of a federal statute or a constitutional provision,” according to SCOTUSblog. And the Supreme Court reviews only a small percentage of cases per year from each circuit. From 1999 through 2008, the Supreme Court reviewed an average of 64 cases per year, which was about 0.106 percent of all decisions by federal courts of appeals, according to a 2010 analysis by the American Bar Association. Now, to the 9th Circuit’s numbers. Since John G. Roberts Jr. became chief justice in 2005, the 9th Circuit court has not set a “record” for reversals. The 9th Circuit’s reversal rate was usually higher than the average in a given term, but not always. And since 2005, the 9th Circuit has not had the highest reversal rate (100 percent) in any term. In the 2014-2015 term, the 9th Circuit’s reversal rate was about 60 percent, below the average rate of 72 percent. In the 2015-2016 term, the latest year of data available, the 9th Circuit court’s reversal rate was 80 percent, and the average rate was 67 percent. This is the figure that Trump cites. But the 80 percent figure represents a small fraction of the cases that the 9th Circuit hears in a given term — roughly one-tenth of 1 percent. 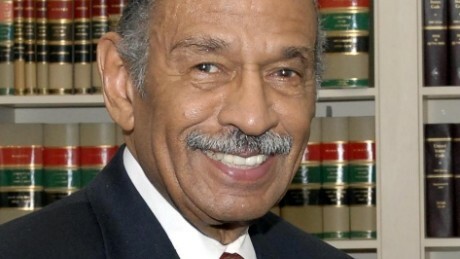 This is the figure that Conyers cites. The Supreme Court reviewed less than 0.1 percent of cases terminated in the 9th Circuit in 2015, according to an analysis by EmpiricalSCOTUS.com. But that is not unique. The highest review rate of terminated cases that year was approximately 0.3 percent, for the 10th Circuit and the D.C. Circuit, according to the analysis. The raw number of reversals by the 9th Circuit is high because the circuit is larger than many other circuits. It covers most of the western states, Hawaii, Alaska, Guam and the Northern Mariana Islands. It’s so big that lawmakers are proposing to split up its jurisdiction and create a another appeals court. Still, the number of 9th Circuit cases on the docket is proportionate to the size of the circuit’s caseload. Since 2005, the 9th Circuit comprised about 20 percent of the Supreme Court’s docket. In 2015-2016, the share of cases commenced or terminated by the 9th Circuit was roughly 20 percent (about 12,000 out of about 60,000). Although the reversal rate is one way to measure a court’s record, using figures such as 80 percent or one-tenth of 1 percent does not add much to the debate. The 9th Circuit is not the most overturned court by the annual reversal rate. It does have a high raw number of reversals or number of cases on the Supreme Court docket. But it also reviews more cases than other circuits, is larger than other circuits and terminates far more cases than other circuits. 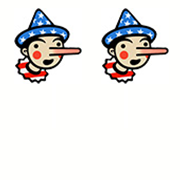 Generally, politicians citing accurate statistics that lack context qualify for at least Two Pinocchios. Conyers provides more context than Trump does by noting that several other circuits are overturned at a higher rate than the 9th Circuit. Still, the usage of the one-tenth of 1 percent figure is not very helpful. The Supreme Court already reviews a small percentage of cases every year, so the number of reversals will reflect a tiny portion of the circuit court’s total number of cases per year. Trump ventures into Three- to Four-Pinocchio territory when he says the 9th Circuit has been “overturned at a record number.” But recently, he has said more generally that the 9th Circuit has a high rate of reversal. We’ll award Two Pinocchios to both Trump and Conyers for their use of the different reversal rates, which only give one side of the story.